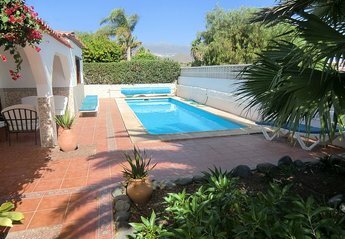 Lovely three bedroom, two bathroom villa with private heated pool, located in the pretty and quiet area of La Quinta, Amarilla Golf, Tenerife. Wi-Fi and English TV channels available. Our beautiful villa is set in a private, quiet and serene area on Amarilla golf overlooking the 5th fairway our spacious villa is set in a private, quiet and serene area. Detached spacious four bedroom villa in Amarilla Golf with beautiful sea and golf course views from the private secluded pool. Well located with bars and restaurants in the resort. A lovely spacious and peaceful detached two bedroom villa with a sunny garden. Ideal for relaxing with a private splash / jacuzzi pool. 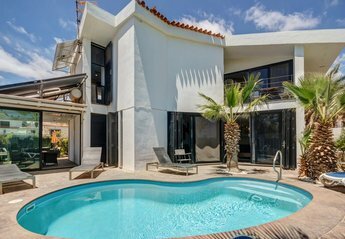 Traditional Canarian Villa with 2 bedrooms, 1 bathroom ideally located in a quiet location, private heated pool, ocean views, nearby golf courses. Excellent 3-bedroom Villa with its private pool and spacious terrace with unforgettable views. 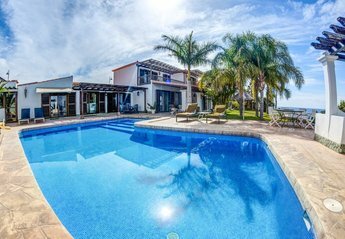 Four bedroom villa in the La Quinta area with a private solar heated pool and private outside space to sunbathe or dine. Gorgeous views over the golf course to the sea. This high quality studio apartment has a large sunny terrace, Wi-Fi and fantastic sea views. Enjoy a gorgeous heated pool and on-site restaurant and bar.